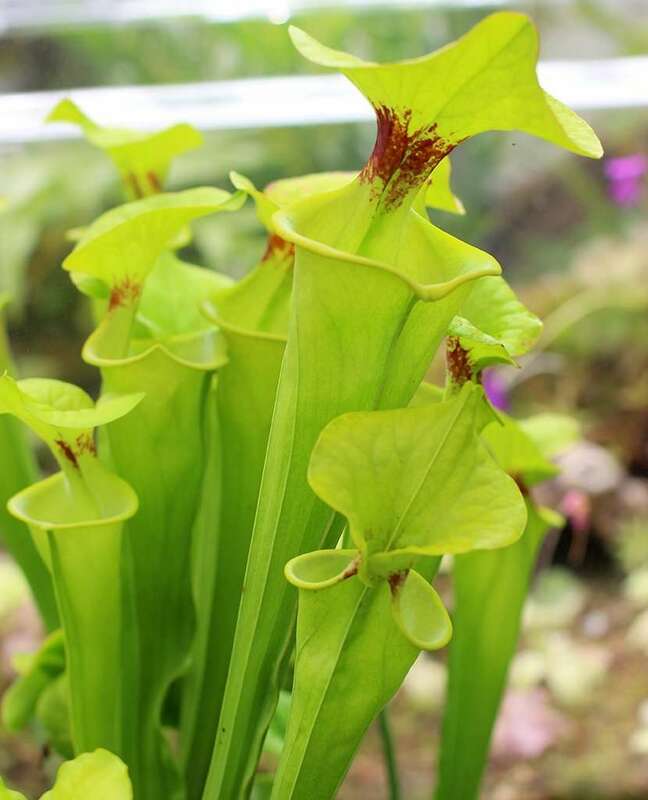 Sarracenia minor is known as the hooded pitcher plant. 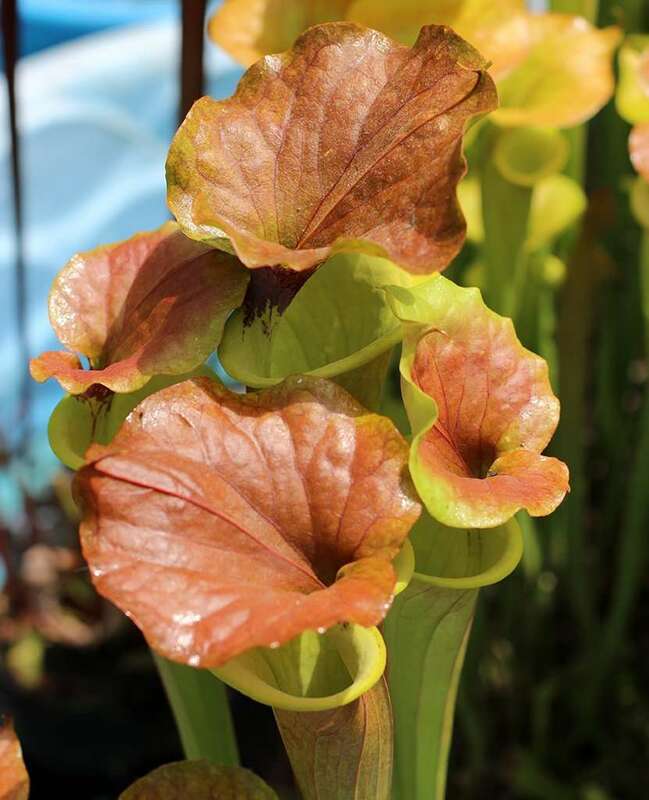 To the human eye, it looks like a fairly typical North American pitcher plant, but with a lid that folds over the mouth. To the insect eye, it probably looks like the grim reaper in cloak. 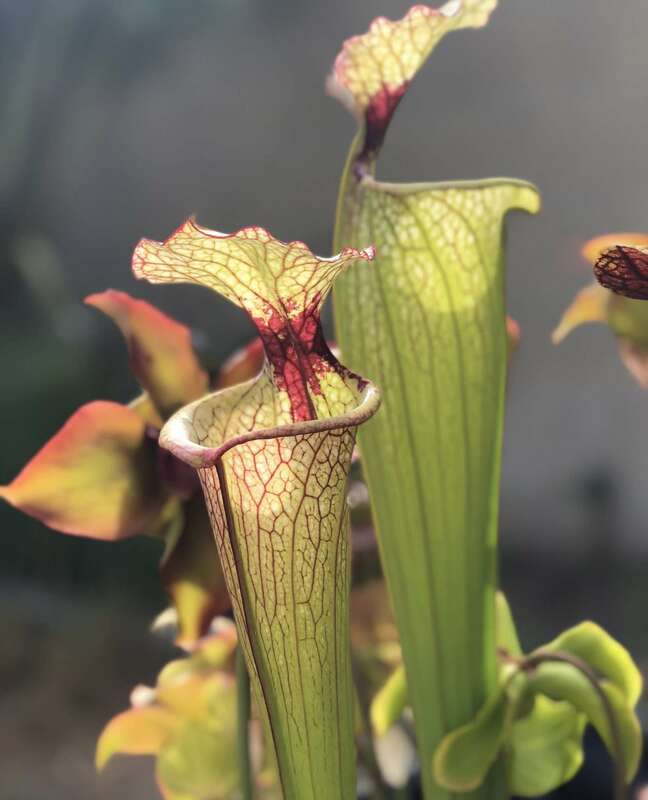 Sarracenia minor spans from coastal plains of southeastern North Carolina south into the Florida Panhandle and the northern half of Florida. 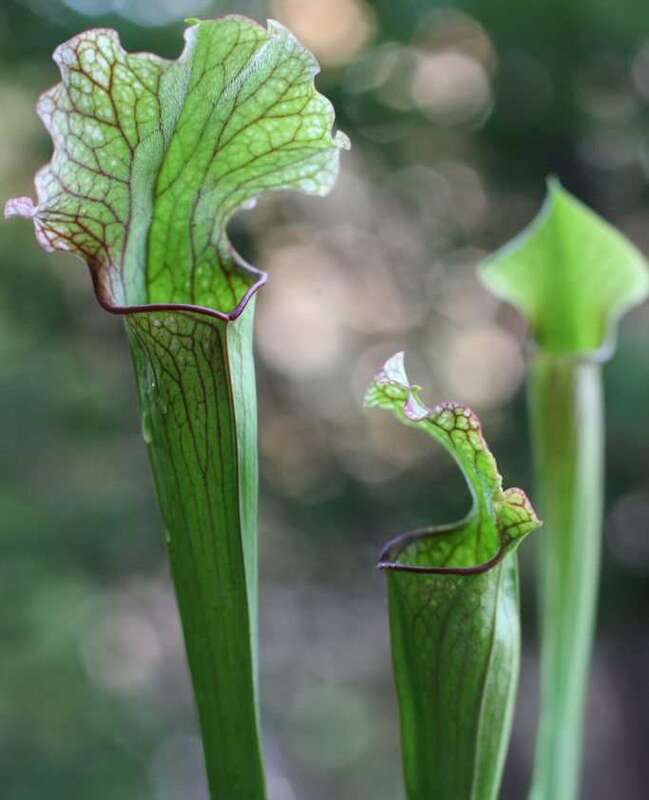 Populations can be found as far south as Okeechobee County, making it the most southern-growing Sarracenia. Why is this? It’s an successful predator, with more than one unique adaptation to effectively catch prey. Read below for the sinister details. 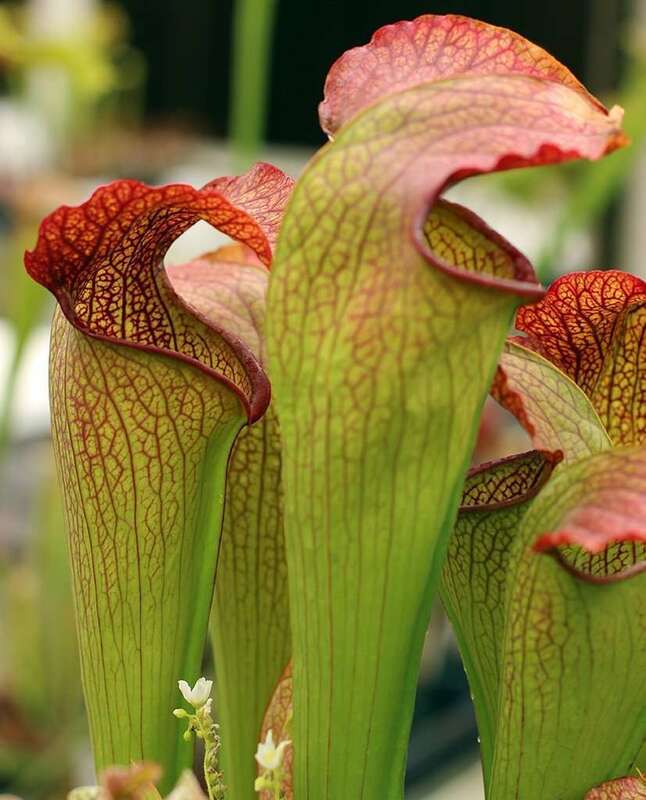 The pitchers of Sarracenia minor average one foot (30.5 cm) tall with a pronounced front seam. 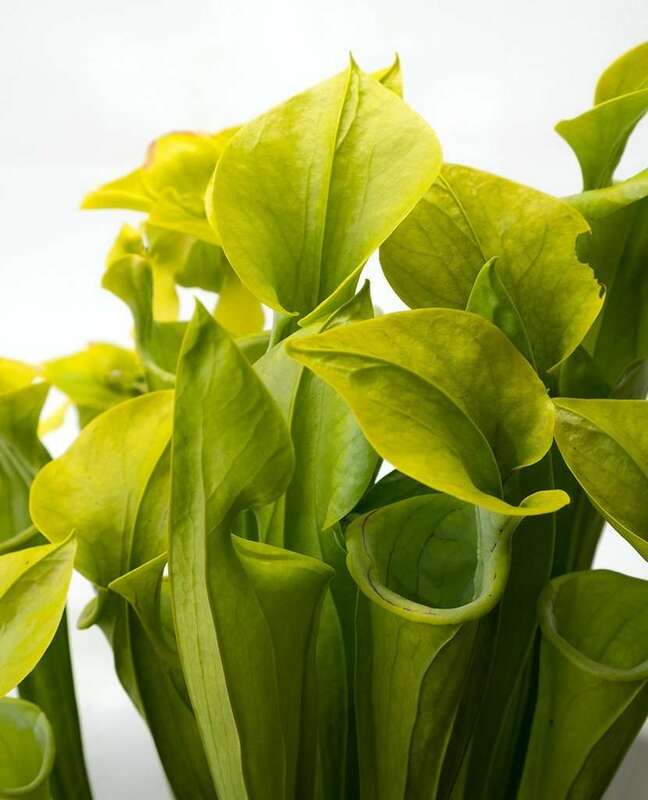 They are mostly green, with a copper-tinted top and thin, mild red venation when grown in bright light. The mouth is downturned, creating a cheeky smile that hides more sinister intent. 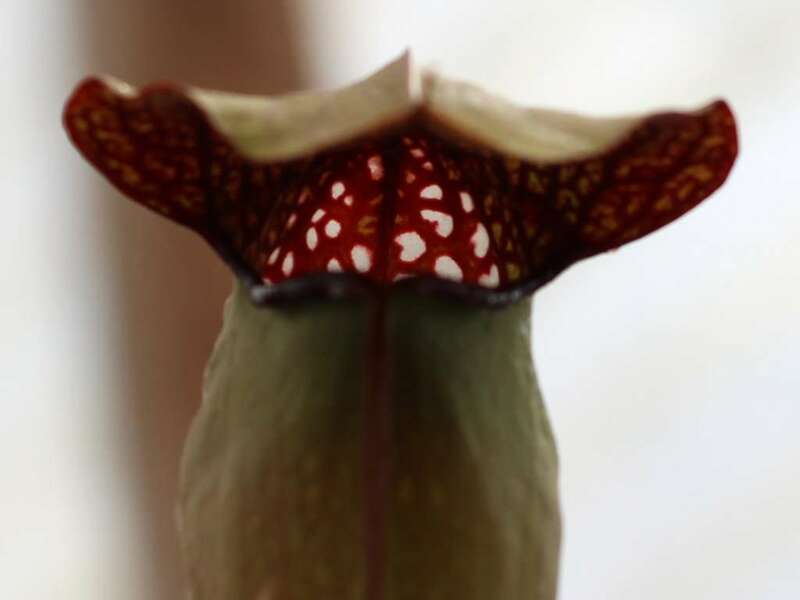 Copious nectar runs up the pitcher and lines the thin peristome surrounding the mouth giving the appearance of lip gloss. What? -Don’t you get dressed up for funerals? 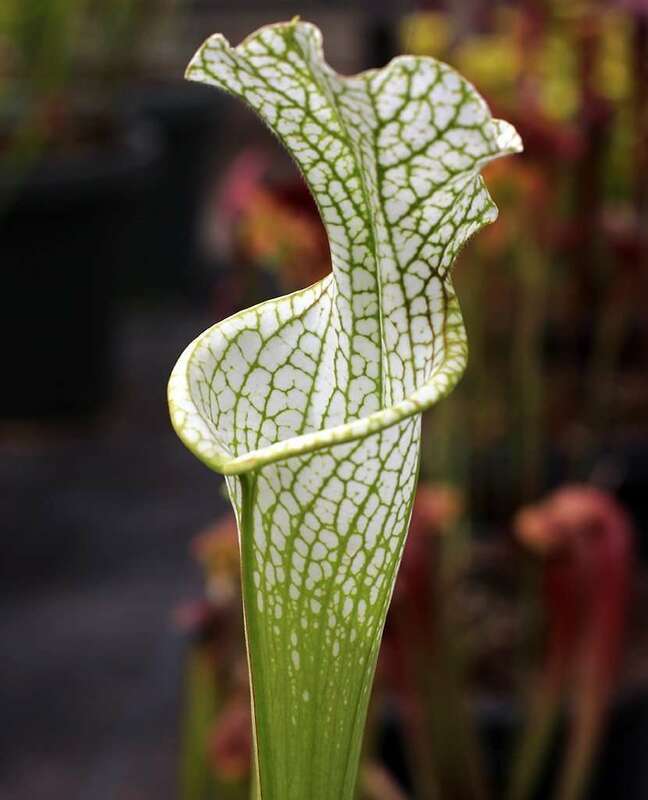 The lid of Sarracenia minor folds over the mouth like a hood, bestowing the plant its common “hooded pitcher plant” name. Why? It works in tandem with another unique adaptation found on the back wall of the pitcher. Insects finding themselves at the mouth opening stare straight ahead at a beautiful series of open windows. The bug is at ease. What a pretty sight. 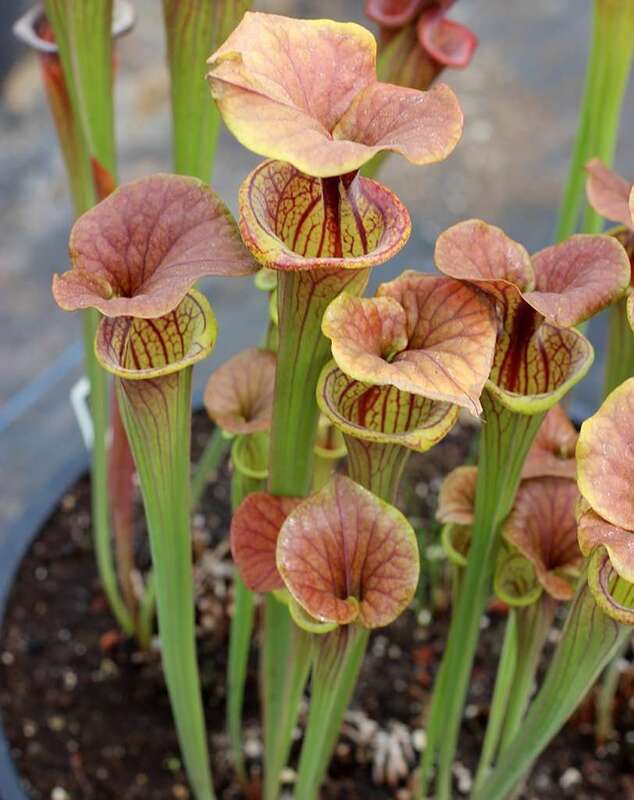 It can venture further into the plant because it’s safe. Just look at how easy it will be to exit through one of these windows. Except not. An insect flies to the windows to avoid the overturned hood that has blocked an upward escape. 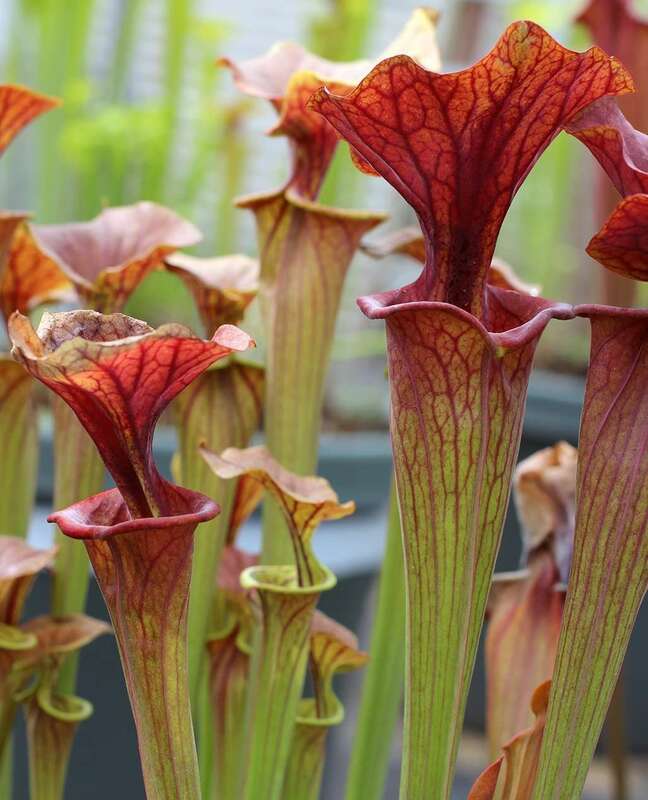 Surprise, those windows are actually translucent portions of the pitcher, slick and unnavigable to panicking insects. 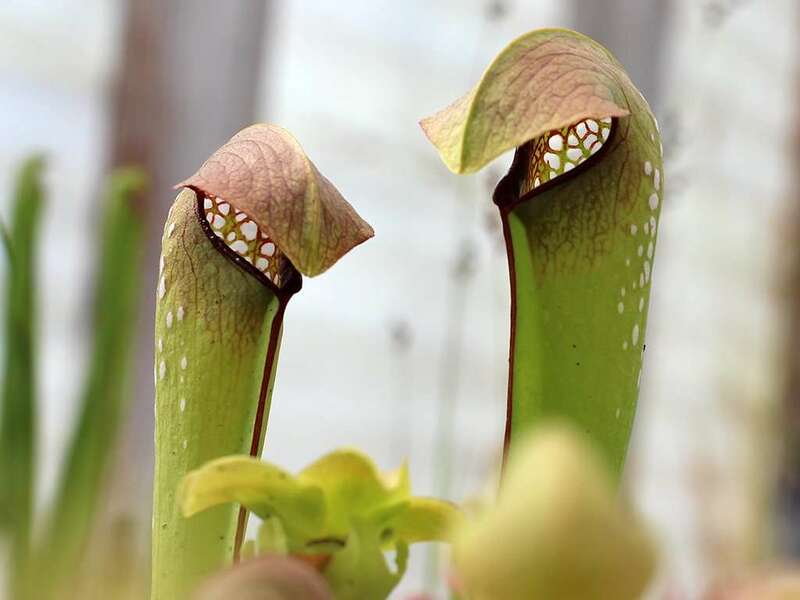 Grasp as they might, the insect slips into the pitcher opening and is digested by the eerily happy hooded pitcher plant. 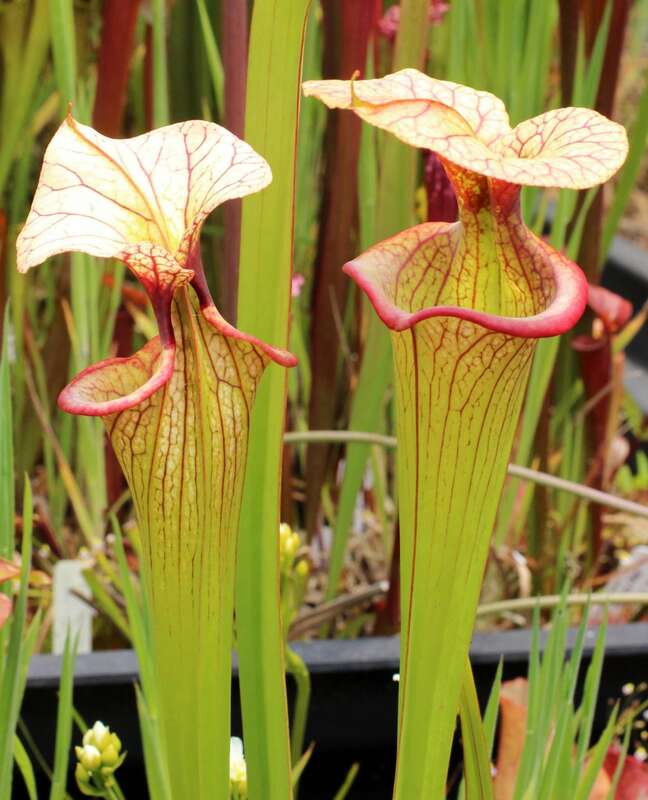 Sarracenia minor pitchers have been shown to host a rich stew of microbes. Bacteria in the genera Lactococcus, Micrococcus, Bacillus, Chryseobacterium, Rhodococcus, Pantoea, and Serratia are all hosted in pitcher fluid. Some of these bacteria are naturally inclined to fix atmospheric nitrogen. 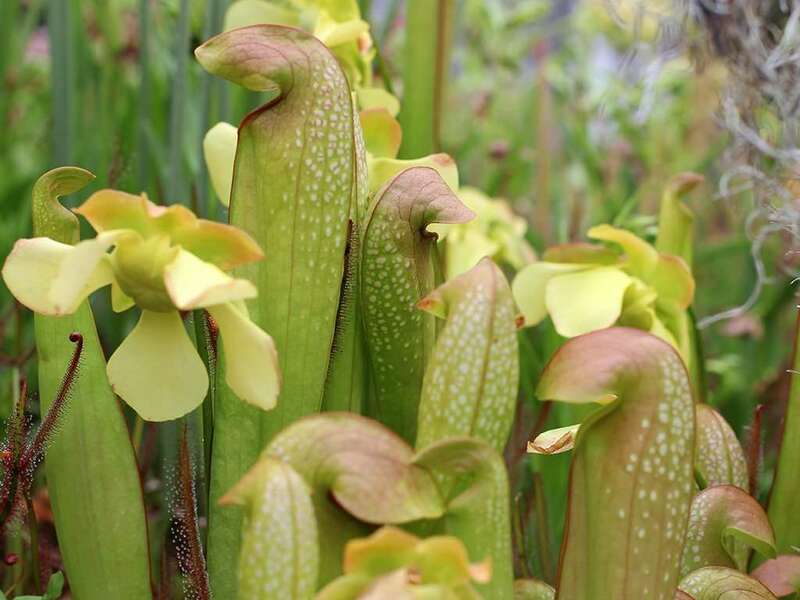 Who knows, perhaps playing host is another means for Sarracenia minor to gather nitrogen from the environment. You know… because the unquenchable insect blood lust can only get you so far. 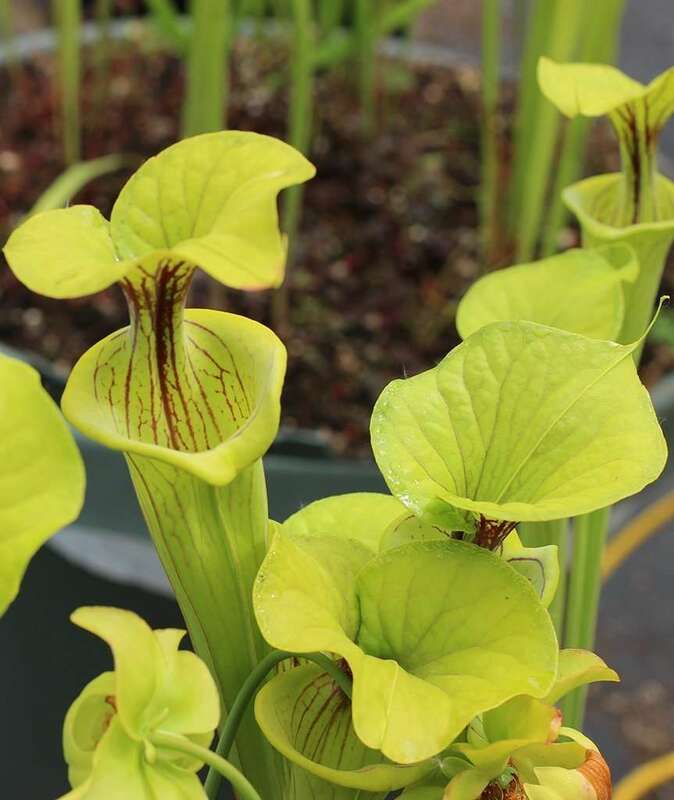 Flowers are pastel yellow and, oddly enough, open alongside the first pitchers of the season. 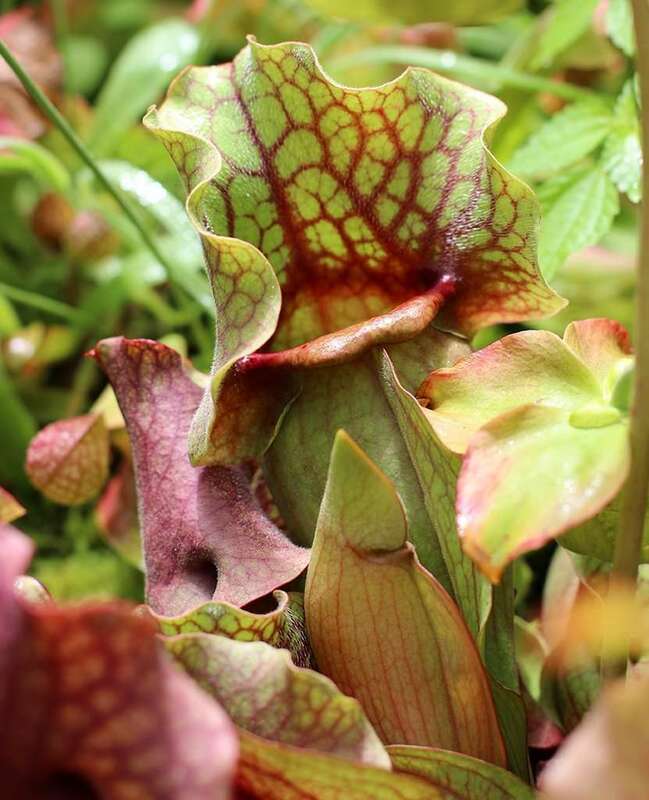 This is unique among Sarracenia. I guess a few pollinators ending up as collateral dinner isn’t such a bad thing. 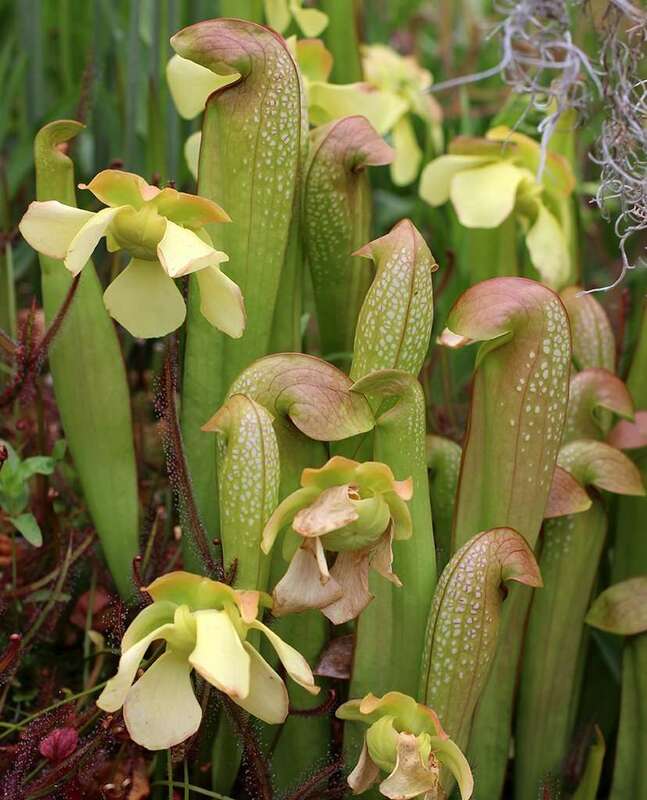 Noteworthy history: in the 1870s, North Carolinian doctor Joseph Hinson Mellichamp experimented on Sarracenia minor in his kitchen. 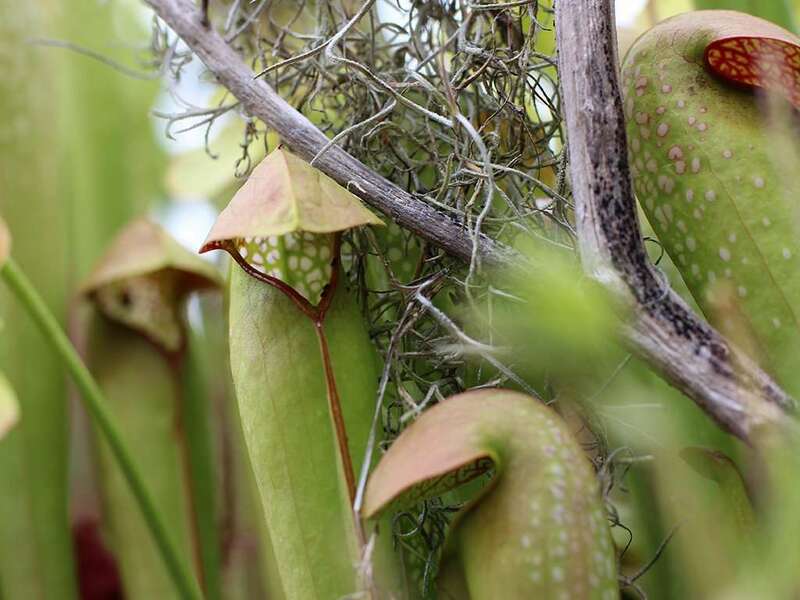 In doing so, he proved that the plants were, in fact, carnivorous. While John Ellis and G.T. 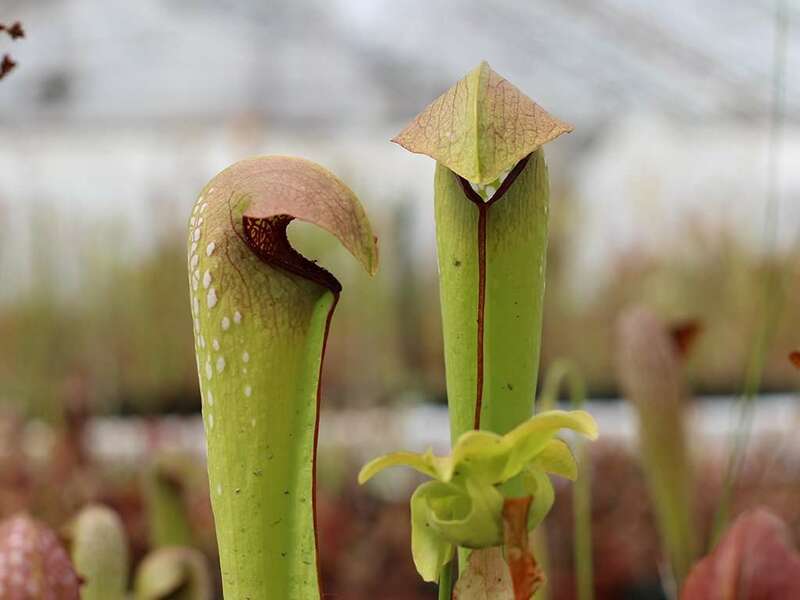 Burnett mused in 1769 and 1829, respectively, that plants may be carnivorous, this was the very first demonstration of carnivory by any plant.